The Portus Project has generated a large volume of digital data. Increasingly, archaeologists are drawing upon multimedia tools to manage these data and make them available to specialist and non-specialist audiences. 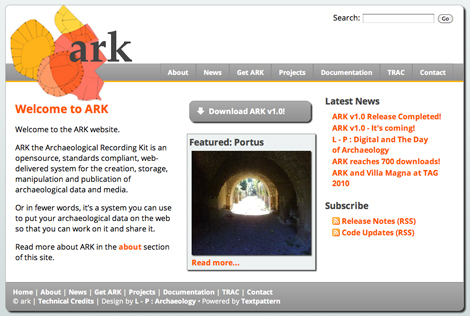 The Project has worked with L-P: Archaeology to enhance their ARK system, a web-based archaeological database/management tool. This has enabled excavators, finds specialists, and all other project members to access the growing information on site. Increasingly the academic community has realised the value of open scholarship, and as the publication of the project continues, this ARK resource will be made available, along with the other data from the project, for others to share, analyse, and build upon.